Feiwel & Friends, 9780312373795, 346pp. Learning to cook pizzas is one thing, but killing hideously terrifying monsters? That's a whole other story. Still, if Toby quits Killer Pizza, will monsters take over his town? 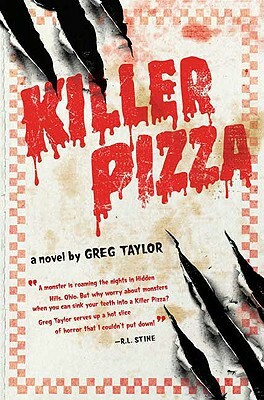 Greg Taylor is the author of the young adult novels "The Girl Who Became a Beatle" and "Killer Pizza: The Slice." Born in Pittsburgh, Pennsylvania, he graduated from Penn State University and started out his career as a professional drummer, before moving to Los Angeles to become a screenwriter. His screenwriting credits include "Jumanji," "Harriet the Spy," "Prancer," and "The Christmas Box."